The detailed analysis of CA Foundation exam pattern 2019 is discussed below. You are advised to go through it thoroughly so as to have an insight into the CA Foundation question paper and accordingly you can formulate your study plan. CA Foundation exam is going to be conducted in May 2019 (tentative). 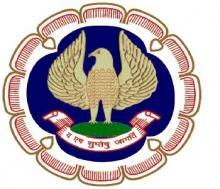 ICAI will release the official notification and all the eligible candidates will be able to apply for the exam from February 2019. CA Foundation exam was previously called a CA – CPT exam. Each paper carries 100 marks and the maximum duration is 3 hours. Paper 3 and paper 4 have the negative marking scheme and 1/4th of the marks will be deducted for every wrong answer. Candidates must score a minimum of 40% marks in each paper and a minimum of 50% marks in aggregate of all the papers to pass the CA Foundation 2019 exam.